What are two things that you hate more than anything else? Power bills and working out would be my top two, if you are anything like me then you need to keep reading! What if I told you there was a way to power your home for free and get in your workout for the day all in one sitting? People often complain about the high costs of energy and the fact that they “never have the time to work out.” This invention certainly solves both conundrums. 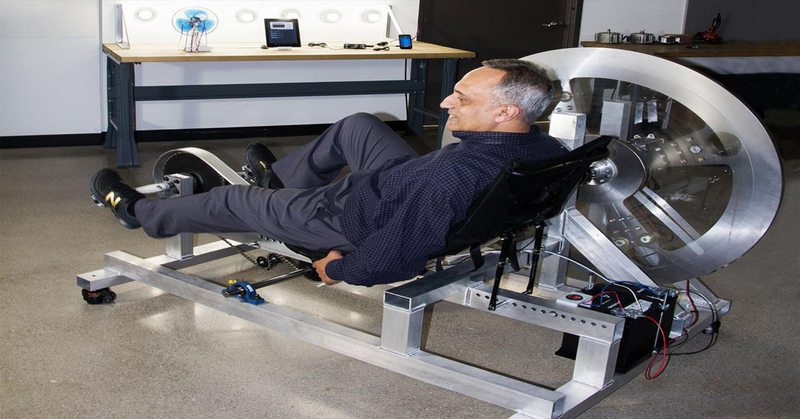 Let me introduce you to the Free Electric Hybrid Bike, an innovative new project that is being backed by Manoj Bhargava. Bhargava is the founder of Billions in Change, a movement that aims to solve some of the biggest problems faced by the world particularly those that pertain to electricity, health, and water. Bhargava’s aim is to improve quality of life, especially for those who have little or no access to electricity. “Everything requires energy. Energy is the great equalizer,” said Bhargava. When the individual pedals the bike, the action drives a flywheel, which turns a generator and charges a battery. This means just one hour of pedaling will supply a rural household with 24-hour’s worth of energy. In developing countries, this bike could also be utilized to cut energy costs and remedy the obesity epidemic. The plan is to distribute 10,000 of these bikes in India next year. In addition, 90% of his wealth has been pledged to charity and research.